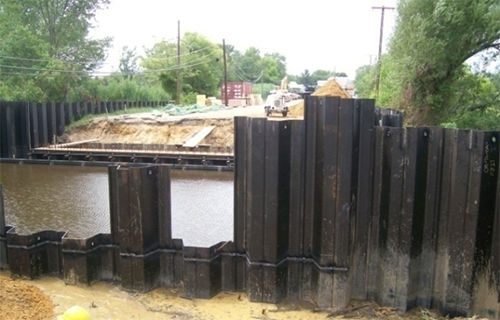 Lower Alloway Creek Township, Salem County, NJ – To replace this deficient bridge, the project included demolition of the existing structure and replacing it with a new pre-stressed concrete box beam bridge. The plans included upgraded drainage, new wider sidewalks, curbs, approaches and sheet pile retaining walls. Special attention was given to the environmental requirements of this coastal wetland and Bald Eagle foraging area. Inspection included the review of all soil erosion control measures, required welding, and reinforcing rod arrangements. Activities also required review of utilities. A mislocated existing storm drain required revisions to stormwater design to adjust to it. 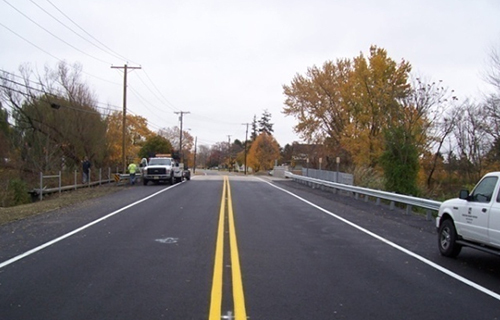 Construction involved removal of existing pavement and installation of new pavement on approaches for both sides.